Get five free Outlook viewers by Coolutils. 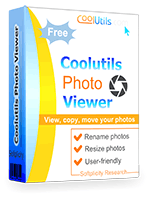 You are here: CoolUtils > Photo Viewer > Get five free Outlook viewers by Coolutils. CoolUtils continues to introduce new versatility standards to users from around the world. 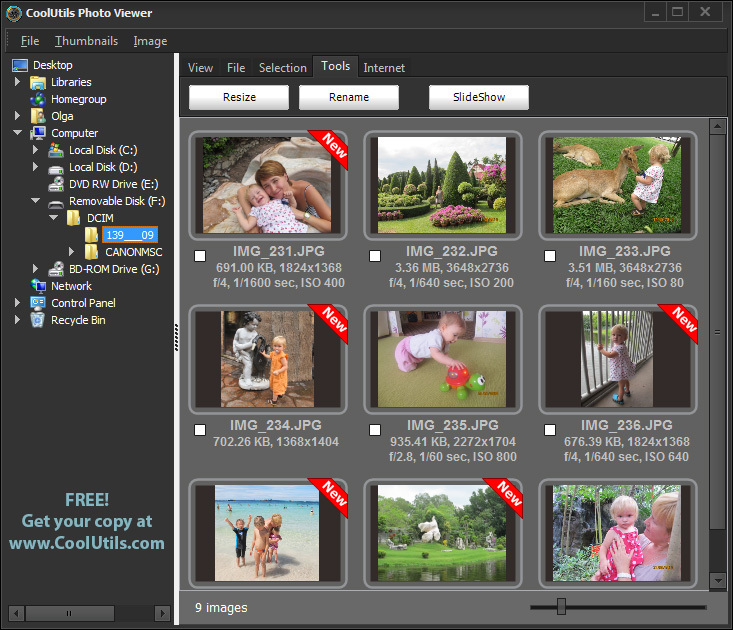 The following great tool we are going to focus on in this article is CoolUtils Photo Viewer - a user-friendly image browser - which you can use for viewing and transferring all sorts of images right from your cam, including raw ones. This image viewer allows you to view photos with exif tags and apply a variety of settings to them, so that you can fit any image to your equipment. 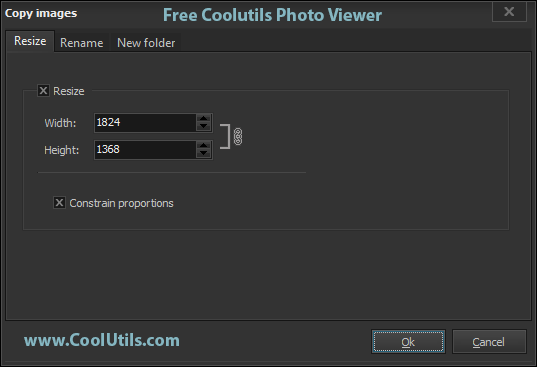 This viewer features a unique interface, which is in many ways similar to most other CoolUtils product. However, it is styled in a little different way with a touch of modernity coupled with usability. 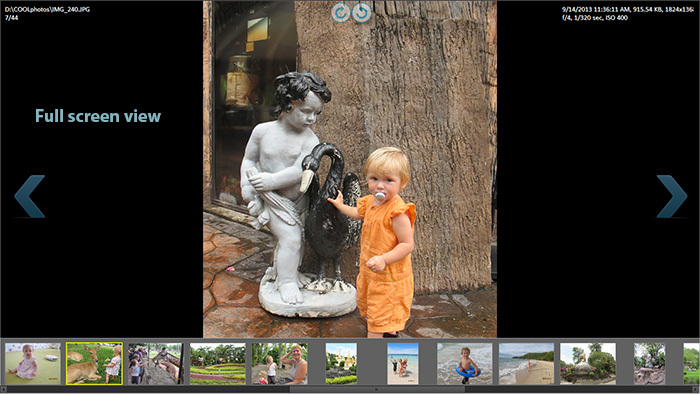 One of the biggest advantages is its availability: this photo viewer is absolutely free! You can simply download it from our website and use it to your heart's content. It is also free from any popup ads or malware, so you do not need to worry about your PC's safety! Insert your SD card into your PC or connect your camera to your PC using an USB cable. View the folder tree on the left and click on the Removable Disk icon. Open the folder, which will appear in the file list pane and view your images. Check the ones that look the best to you and drag-and-drop them to any folder in the folder tree. After that, a menu will pop out with the following options: Copy, Move, Copy and Rename, Copy and Resize and Copy to New Folder. Choose the needed one and use the wizard to apply them. To Resize images, enter an appropriate Width value (the Height value will change proportionately). Select the Rename tab and format Name, Date and Counter for your images. If necessary, create a new folder using the New Folder option. As you can see, there is hardly a tool out there to match this one in user-friendliness! Download our photo browser right now and enjoy life!